All initial consulations are free. in California, backed by hundreds of millions of dollars in recoveries for clients. James Bostwick & Erik Peterson have been voted to the list of the Top 100 Trial Lawyers by The National Trial Lawyers organization. The firm has received the prestigious "Best law Firms" rating in the practice areas of Medical Malpractice Law and Personal Injury Litigation. 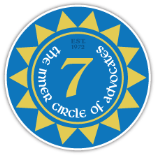 This case against UCSF Medical Center was the largest medical malpractice settlement in California history at the time. Our wrongful death attorneys in San Francisco settled a case involving the death of an athletic 38-year-old executive, who stopped at a UCSF clinic at the airport complaining of chest "tightness," which was relieved by Advil. The EKG was normal; there were no cardiac risk factors. The doctor diagnosed chest muscle strain and allowed the decedent to fly on to Colorado and then Mexico where he died 7 days after the clinic visit. Unfortunately, his tissue was severely decomposed when it was returned to the United States. There was no evidence of infarction, but there was an 85% sclerotic lesion in the right coronary artery and congenital narrowing of the left coronary artery. We contended that the decedent died of cardiac ischemia. Defendants argued that the decedent appeared healthy and in no distress and therefore the clinic symptoms were not cardiac and his death was probably from some other cause. Our wrongful death attorneys believe that this was the largest pre-judgment medical malpractice settlement in California history as of 2002. Record settlement for 16-year-old who went into a coma during knee surgery (Oklahoma). We represented a 16-year-old teenager who was brain injured as result of poor anesthetic technique during a knee operation in Tulsa, Oklahoma. This case was complicated by limited insurance coverage on the part of the primarily culpable party and the need to establish liability against several other defendants in order to have adequate insurance coverage. The case was hotly contested in a jurisdiction known to be extremely conservative. The highest judgment or settlement in Oklahoma state history prior to this case was $2.2 million. We settled this case just before trial on a structured basis with $2.5 million in cash and $120,000 per year increasing at 6% for life with an additional $120,000 increasing at 6% for life to start in ten years and third $120,000 per year to increase at 6% to start in twenty years. The annuities were all guaranteed for twenty years. There were also additional annuities for the parents. The present case value of this settlement was approximately $8 million. Bostwick & Peterson, LLP is a full-service law firm that represents victims of medical malpractice and birth injuries for more than 60 years. Our firm's Los Angeles medical malpractice attorneys have proven themselves among the most accomplished in the nation, and have helped hundreds of victims and families successfully through their legal journeys. Our firm is committed to representing individuals who have become the victim of some form of negligence at the hands of medical professionals. We believe in fighting hard to see that our clients receive the compensation they need to live full and happy after their injury. 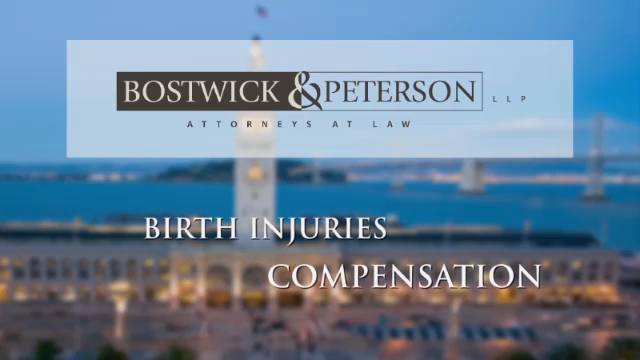 At Bostwick & Peterson, LLP, we have achieved a number of successful results in cases involving birth injuries, including record-setting verdicts at their time in California, Hawaii, Colorado, and Washington. We understand the emotional nature of birth injury cases, which is why we go above and beyond to support clients through these difficult times. We handle the full range of medical malpractice and birth injury cases. At Bostwick & Peterson LLP, we understand your rights as a patient and are devoted to helping mothers and children who have suffered a birth injury because of careless doctors. For every 1,000 children born in the United States, 6.68 instances of birth trauma occur. While some of these situations are the result of natural causes, others are the result of medical negligence. A child and its mother should never suffer an unnecessary injury during delivery, especially if the trauma is avoidable. Medical malpractice can cause or amplify birth injury. When you choose Bostwick & Peterson, LLP, you can be confident in attorneys who are fully committed to you and your cause. We aggressively pursue each case because we understand how important your claim and case are to you and your family, as well as your future health, medical care, and ability to live your life. If you or a loved one has been seriously injured as a result of medical malpractice, contact Bostwick & Peterson, LLP at our firm today and schedule your FREE confidential consultation. 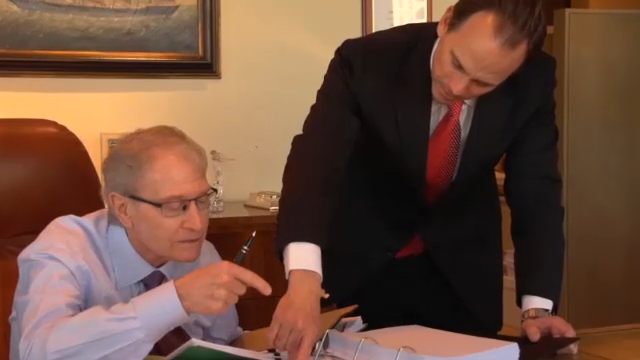 Our firm is headed by James S. Bostwick & Erik L. Peterson, two highly-regarded California lawyers. 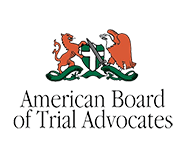 Mr. Bostwick has been certified as a medical malpractice specialist by the American Board of Professional Liability and he has set several local, state and national records for settlements and jury verdicts on behalf of his clients. He is a past President for the International Academy of Trial Lawyers and an invited member of the "Inner Circle of Advocates," an organization made up of the top 100 plaintiffs lawyers in the country. Mr. Peterson is listed in Super Lawyers® and he has received Martindale-Hubbell's highest rating for his legal ability and professional ethics. He is also a Fellow of the Litigation Counsel of America, which is an invitation-only trial lawyer society, consisting of less than one-half of one percent of all American lawyers.